This detector achieves a 0.4×10-5 AU noise level. The SR-Cell (Sensitivity and Resolution Cell) significantly cuts peak dispersion. 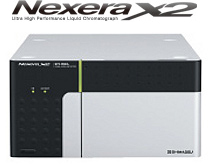 This model supports analysis from conventional LC to ultra-fast and UHPLC analysis. The optional high-sensitivity cell has an 85 mm optical path length and is able to detect trace components that were conventionally difficult to detect. The TC-Optics function further improves baseline stability. 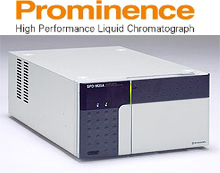 The SPD-M20A is a general-purpose model incorporating a deuterium lamp. The light-source compensation function achieves a noise level of 0.6×10-5 AU. Cell temperature control ensures baseline stability.